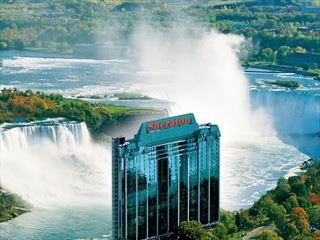 Just steps to the Falls and the area’s major attractions, the new Skyline Hotel & Waterpark is a comfortable family-style hotel providing superb amenities and the best location to enjoy the excitement of Niagara Falls. 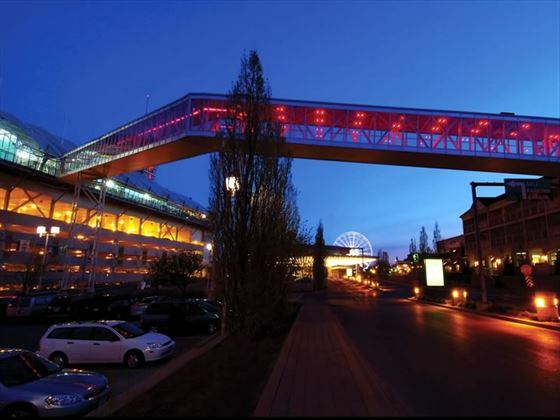 Located in the middle of the Falls Avenue Entertainment Complex, which now features a new climate controlled indoor skywalk to the only Falls View Indoor Waterpark in Niagara Falls. 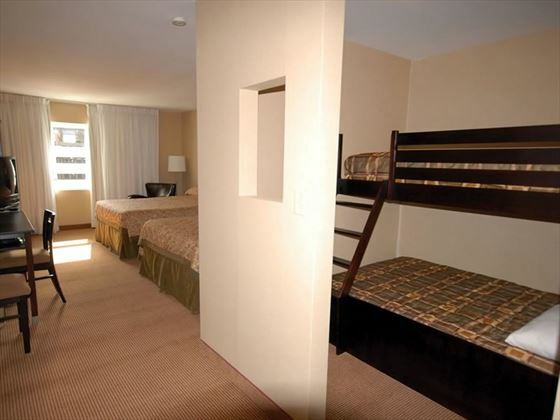 Surrounded by beautiful parkland and close by to popular Niagara attractions such as Clifton Hill, Casino Niagara and Niagara Falls including the legendary Maid Of The Mist, Journey Behind The Falls and the White Water Walk. 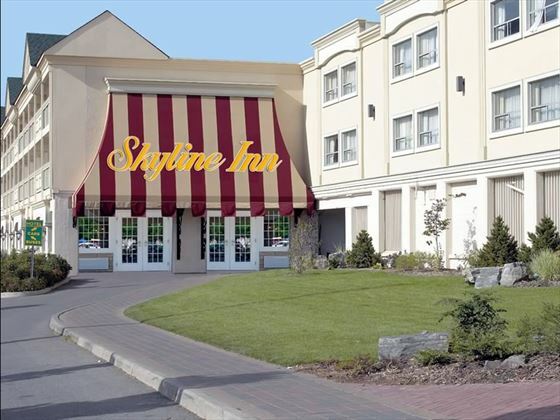 The Skyline Hotel & Waterpark offers 206 tastefully decorated guestrooms with great amenities to make a stay at the hotel comfortable, there are five room options, ideal for families or groups sleeping five or six guests. 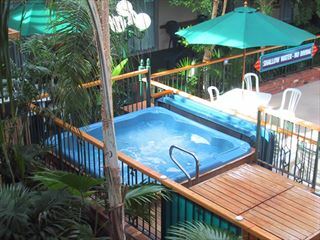 There are plenty of hotel facilities including an on-site restaurant – Perkins Family Restaurant & Bakery, a helpful front desk, free WiFi in public spaces, lovely climate-controlled courtyard and fantastic family movie nights, with direct access to the Fallsview Waterpark and all the attractions of Falls Avenue. 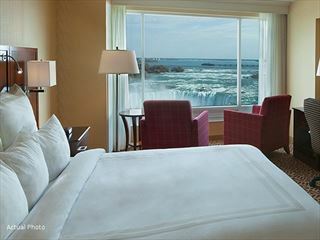 A 3 minute walk from the Falls, the Skyline Hotel & Waterpark is surrounded by the beautiful Niagara Parks. Amid the beautiful parklands lie some of Niagara’s best know and most popular attractions including the legendary Maid Of The Mist, Journey Behind The Falls and the White Water Walk. Perkins Restaurant & Bakery - Casual restaurant offering a wide selection for breakfast with eggs any way, lunch and dinner with a variety of light bites and hearty meals, sure to please all appetites. 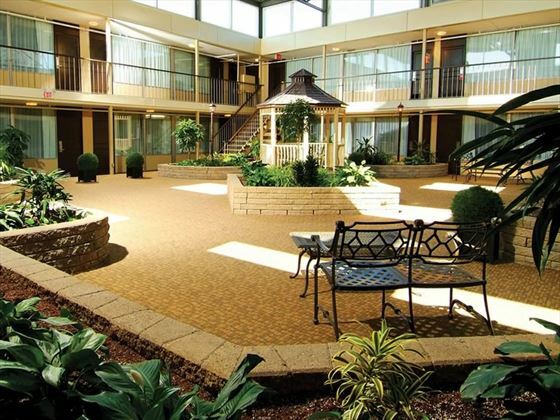 The Best Western Cairn Croft Hotel is one of Niagara Falls most popular courtyard style hotels. 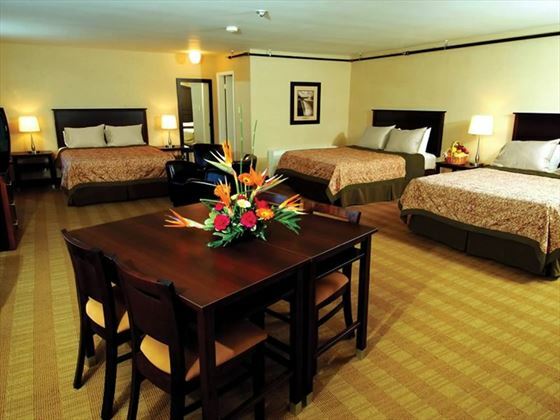 The hotel is conveniently located only minutes from Marineland, Casino Niagara and the world famous Niagara Falls.